My mornings, afternoons, evenings are all consumed by this one book that Ethan requests I read at least fifty times per day. Some days I'd agree that maybe that's an embellishment but other days, well, I'm not so sure I don't mean it literally. The book in question? 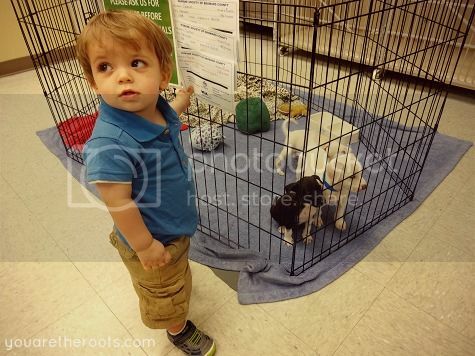 Much like Chip, Ethan wants a dog. It's apparent. It's blatantly obvious by the way I have to fly out of my own skin to grab him as he attempts to take off running across the street when he hears a dog bark. This is well and good, as my husband and I are total animal people and probably would be the easiest parents to convince that a dog is a total necessity -- but we have four cats. Four cats and a toddler means our house is packed to the brim with love and snuggles and cuddles and furballs. Ethan loves our cats and one out of the four actually love him back so I'm hoping that's enough to get us through this whole "dog thing." Just in case it isn't, meet Ephraim. See, I do this thing where when my husband shoots down a baby name that I am over-the-moon in love with, I give that name to my pets. Since I maxed out our pet quota, I've moved onto Ethan's stuffed animals. 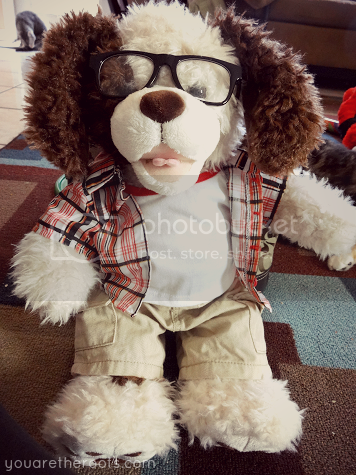 If I can't have a son named Ephraim, Ethan will have a dog named Ephraim -- albeit a stuffed one. Ephraim is Ethan's makeshift dog, for the time being. 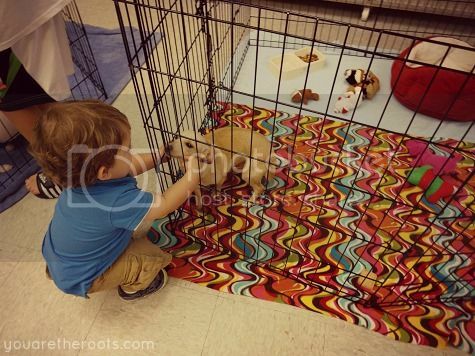 He barks when you squeeze his paws and Ethan is absolutely in love with him. 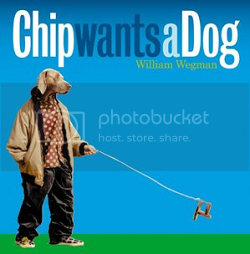 Our endless readings of Chip Wants A Dog? Now we're a trio: Ethan, myself and Ephraim. After wearing myself out from reading Chip Wants A Dog so many times in a row yesterday, I decided that the three of us (myself, Ethan and Ephraim, of course) should go find some dogs. 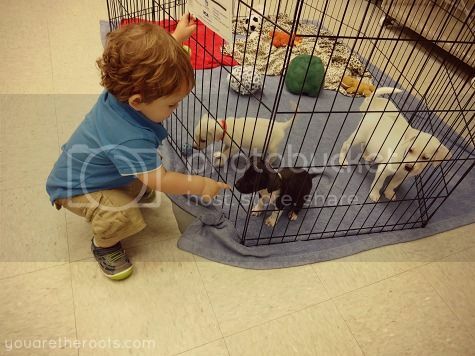 We set off for the local Petco which houses some of the dogs and cats up for adoption through our local humane society. 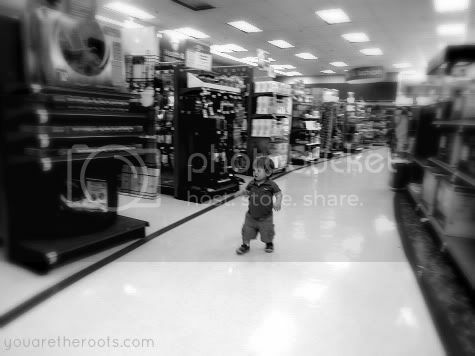 As soon as we walked through those automatic doors, Ethan found what he was looking for. I told Ethan we could pick out an item off of the dog wishlist and the cat wishlist. 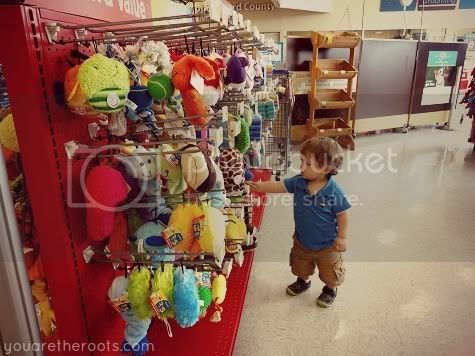 We picked toys for the cats and treats for the dogs, all of which were carefully selected by Ethan before he began running up and down the aisles with excitement. He was laughing so very hard as he ran here in this Dog Wonderland that he'd slip across the tile on his belly, get up and continue running -- while still laughing. It was a contagious laughter and a fellow shopper stopped to high-five him, another stopped to admire his blue eyes. He stopped only for a few seconds, catching his breath and gulping down some water, and then continued running, running, running. Eventually we brought our chosen supplies back to donate to the cats and dogs waiting for their forever home. 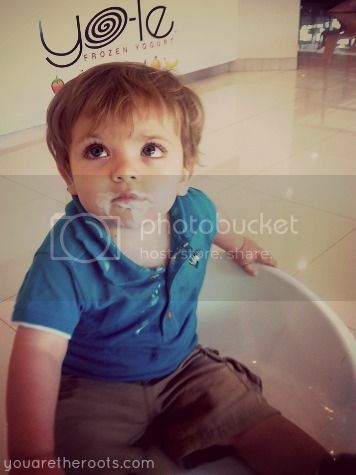 ...and made one final stop for frozen yogurt before coming home. This is so cute! 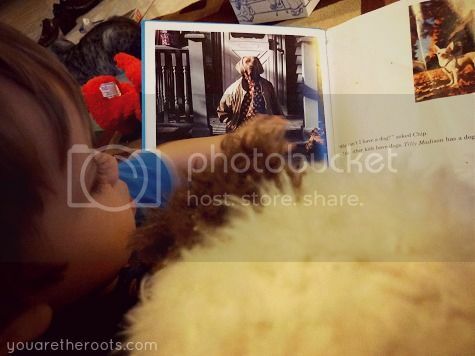 Liam has a similar love for the Llama Llama books. He'll bring it to me and say "Wama. Wama." One night, Craig called after I had put Liam to bed and asked how we were doing, and "Ugh, I'm all Llama Llamaed out" was all I could muster. Lindsay, that is the sweetest ever!!! I'm so bummed for you your hubby shot down your name! I hate when that happens...Zac and I have the hardest time agreeing on names! When Olivia was little she had a book she obsessed over too...."When Winter Comes" She loved that book, wanted it every single night, and always always stopped on the same page and ohhhhed and ahhhhed over it. I still have it memorized!! hahaha....I love little book lovers!